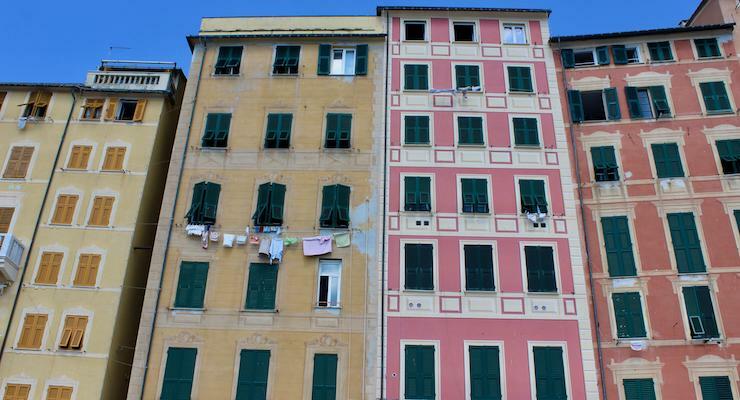 This week I started the process of applying for Italian citizenship and passports for me and for our two children. I’m sharing my experience here in case it’s helpful to you. But please bear in mind that I have no expertise in this area, and I’m not in any way telling you how to do it – Italian bureaucracy is a thing of mystery, after all. Prior to the June 2016 EU referendum, applying for Italian citizenship had never occurred to me. I’ve always loved Italy. I studied Italian at University, I worked there as an English teacher and have spent many happy times there both on holiday and visiting friends and family. But I’d never thought about actually becoming an Italian citizen, or about contacting the Italian authorities to register our marriage, our daughter’s birth or our son’s adoption. Why would I? But since the referendum I’ve known, reluctantly, that it’s something that I had to do. I voted Remain in the referendum because I thought that was the best and the right thing to do for the future of my family and of our country. (If you’d like to know why, do read my post How should I vote in the EU referendum?) I was devastated and astonished by the result, and by the toxic atmosphere of racism, arrogance, xenophobia and bluster which it has stirred up. Today I still believe that Brexit is a backwards step which is damaging our country, and I’m astonished that most of our politicians are going along with it. I’d still vote to remain in the EU if we had another referendum tomorrow. But as that’s not an option, it seems that the only way for my family to remain in the EU is for us to all become Italian citizens. I did vaguely start researching the process of applying for Italian citizenship soon after the referendum. I went to the Italian Consulate website to try and work out what we needed to do. Straight away I had some queries, so I sent them via the website contact form. I quickly received an automated response to say that I’d receive a reply within six months. Disheartened, I left things for a while, hoping that maybe Brexit wouldn’t happen. But it really does seem to be happening, one way or another, and so I really do need to get on with the application. So, the first stage seems to be to register our marriage, our daughter’s birth and our son’s adoption with the Italian Consulate in London. In order to do that, we need original certificates – photocopies aren’t accepted. The original certificates will not be returned to us by the consulate, so I can’t send them the actual original ones which I have at home. Luckily the UK General Register Office has a very efficient website, and I’ve ordered copies of our certificates from there, at a cost of £9.25 per certificate. It takes up to 15 days for the certificates to be delivered, and then I’ll have to arrange for them to be translated by an approved translator and legalised to show that they are genuine. After that, I think that I’ll be able to register with the consulate and then eventually to apply for Italian passports – I’ll keep you posted! 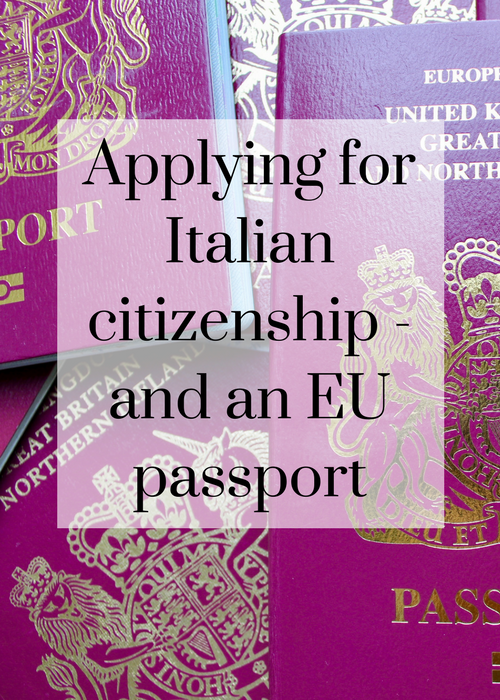 To read about what happened next, go to my post Applying for Italian citizenship – part 2. We’ve not got much further at the moment, but I need to get on with it! Good luck with it all, and I’ll write more when we’ve made some progress. I am applying for citizenship as well. Waiting for hubby( the Italian)’s registration as AIRE to come through ( we moved back to England two years ago) then start the application process. It’s taken, since May last year, forever and we have not received his registration . Which website are you looking at for the application I gather everything is online from now on?? Our UK certificates have now arrived, so I need to start the next stage now. Good luck Gretta, this is definitely worth all the work. I wish I could do this for me and my family! I want us to keep our rights as EU citizens – I’m not bothered about being British. Brexit is terribly damaging and has unleashed some very unpleasant feelings and reactions. Hopefully your experiences can help others. Good luck Gretta … I did not even contemplate applying for italian citizenship (I was put off by the pages of documents required) even though I live in Italy and married to an Italian – but I did register the children’s births with the British embassy. To be Italian you have to have an Italian parent (there is a proposal to give Italian citizenship to babies born in Italy of foreign parents … but who knows if it will be accepted). All the best! Remember even if you get Italian citizenship in Britain you will always be considered British and in Italy always Italian . Thanks Jenny. I’m not sure if any of us will actually manage to get it, but I feel that we have to try! That’s super-interesting, thanks for posting. It sounds like one of those things that’s easily put off because of the daunting amount of bureaucracy, but is so worth doing and relief to get done. The citizenship processes of different countries vary so much, as far as I’m aware, that it can be hard to get a sense of how much difficulty to expect. Anyway, I hope it goes smoothly for you. Thank you very much. It is daunting, but I hope that by sharing my experience of the process it will help others who are thinking of doing the same thing. Thank you. Yes, we will need to have our documents translated by approved translators, definitely.